With its Plus range of door furniture, DORMA is able to offer a range designed to meet the demand for cost-efficient hardware solutions able to readily satisfy standard design requirements in project builds. 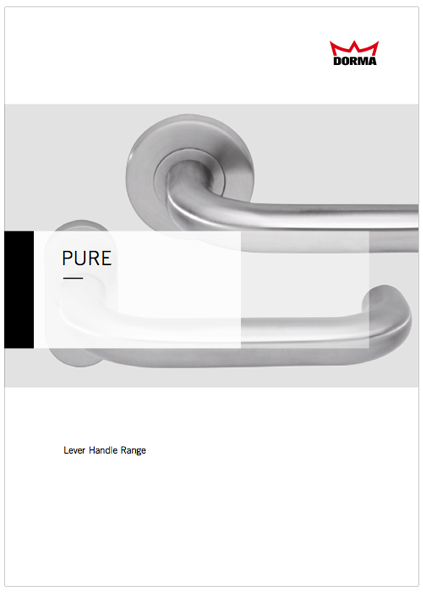 The door furniture series is suitable in particular for use on functional doors in project build applications, unlike other lever handles of Singapore. High product demands duly satisfiedAll models meet wide-ranging product demands, irrespective of design. Lever handle models for project buildsDORMA Plus is characterized not only by design and quality but also variety, with a large number of common lever handle models for project build applications available within the range. Complete handle sets of DORMA quality Plus door furniture sets offer reliability plus all the benefits of DORMA’s quality standards. They are available as complete sets for timber doors with round roses or oval backplates, and as half sets for narrow-stile doors with narrow roses. All the combinations are provided with a decorative ring between the lever handle and the rose or backplate. Available in aluminum or stainless steelAluminum or stainless steel? Irrespective of which material you decide on, with DORMA Plus, you will be choosing hardware of contemporary design elegance. The choice and quality of the surface finishes available satisfy prevailing market requirements in keeping with DORMA’s own high standards. Certified to EN 179 Plus sets are also available as fire and smoke rated models, with those designed for emergency exit devices certified to EN 179.